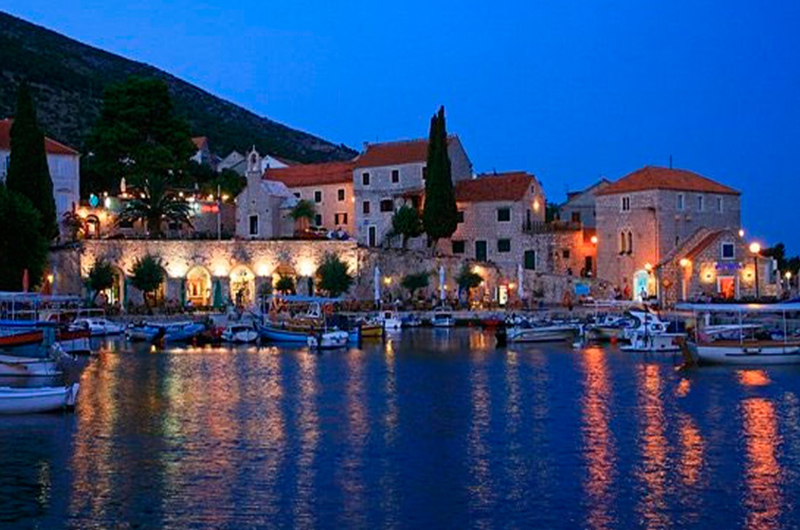 Bol (1600 inhabitants) is the oldest coastal settlement of Brač island, and also the only one on its south side. 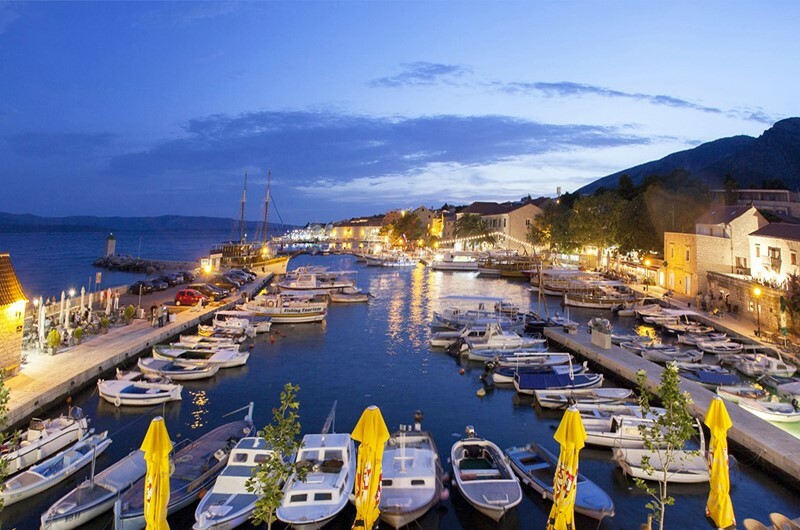 It used to be town of winegrowers, fishermen and sailors, while today, with its numerous hotels, restaurants and magnificent beaches, it is a tourist center of the whole island. 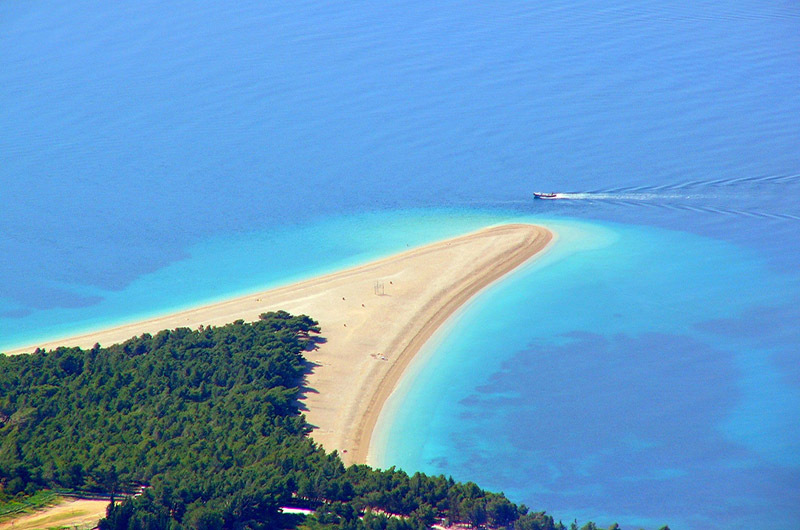 One of the most beautiful beaches on the entire Mediterranean – Zlatni rat, is located in Bol. With appearance of a tongue, it stretches almost 500 meters into remarkably blue sea. Its peak changes direction depending on wind and currents. Apart from crystal clear sea, visitors can enjoy in various sport activities such as windsurfing, diving, cycling, hiking, tennis, etc. Bol area is ideal to grow olives and wine grapes. 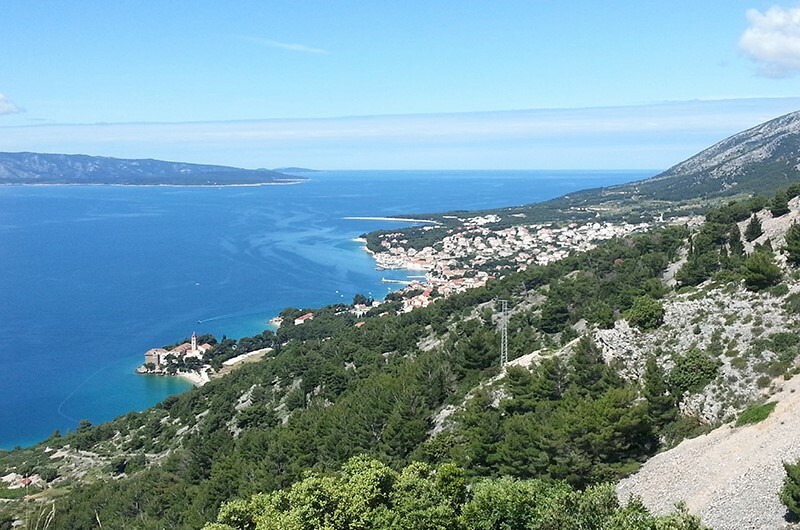 That’s why first Dalmatian wine collective was founded in Bol in 1901. Petar Ivulić, vintner from Bol, won first prize for his wine in Vienna, in 1900. Dominican monastery (year 1475.) is located at eastern side of Bol. Its museum consists of rich archeological collection, including numerous priceless showpieces and arts. There is a 9th century chapel situated right next to the monastery. Bol center is located around harbor. 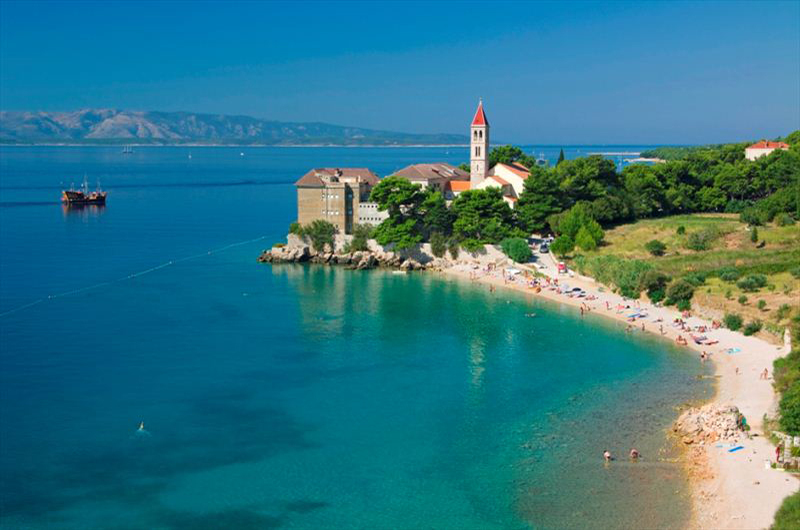 A baroque mansion, renaissance-baroque palace with gallery, local church and a castle are all located in Bol center. 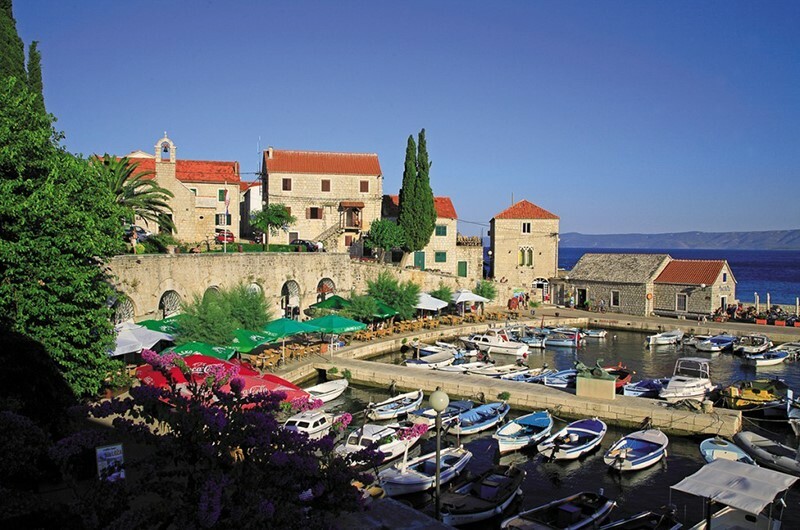 All is built with stone in classic Dalmatian style. Apartment is located at the south side of house, with sea view terrace. It consists of kitchen with dining room, bedroom with double bed and bathroom. Dining room/living room has a retractable sofa that can be used as extra bed. It is equipped with Wi-Fi ADSL Internet, air conditioning, TV with satellite, safe deposit box, microwave oven, coffee maker, water heater, hairdryer and iron with ironing board. Apartment is located at the north side of house, with terrace. It consists of kitchen with dining room, one bedroom with double bed, one bedroom with twin bed and bathroom. It is equipped with Wi-Fi ADSL Internet, air conditioning, TV with satellite, safe, microwave oven, coffee maker, water heater, hairdryer and iron with ironing board. Apartment is located at the southeastern side of house, with sea view terrace. It consists of kitchen with dining room, one bedroom with double bed, one bedroom with twin bed, and bathroom. Dining room/living room has a retractable sofa that can be used as extra bed. It is equipped with Wi-Fi ADSL Internet, air conditioning, TV with satellite, safe, microwave oven, coffee maker, water heater, hairdryer and iron with ironing board.